We produce tears in response to insults to the eyes --- the sting of onion fumes, a tiny insect that flew into your cornea. But we also produce emotional tears. And it’s long been known that emotional tears are chemically different from poke-in-the-eye tears. 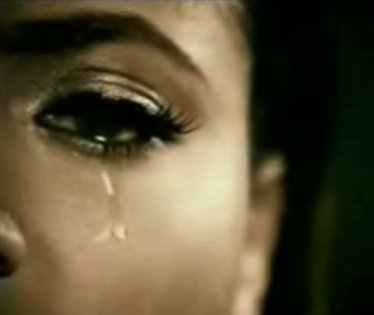 Now researchers at the Weizmann Institute of Science in Israel find that women’s emotional tears have definite physiological effects on men. The work appears in the journal Science. The researchers knew that mouse tears contain pheromones that convey information to other mice. So they looked for similar kinds of signals in human tears. Two women volunteered to watch sad movies and have their tears collected. Twenty-four men were then asked to sniff the movie tears or a saline solution. The men noted no particular smell in either sample of salty water. But the men’s own body chemistry could tell the difference. When the men looked at emotionally neutral images of women’s faces after sniffing real tears, they reported less sexual attraction. The men also had lower levels of testosterone and less physiological arousal after smelling emotional tears compared with saline. Future studies will look at men’s tears, once researchers have collected enough videos of heartbreaking losses in big football games.